Drizzle turned to rain as I walked down the hill to Mission Valley, so our first stop was Café Frankenstein for Emergen-C and cheesecake. “As a young lad I was appreciative of the way you drew women’s legs.”—Gail Carter, moderator of the Murphy Anderson interview. Anderson was born in 1926, was working for Fiction House by the time he was twenty, if I heard right. Married in 1948, and his wife is in the audience. 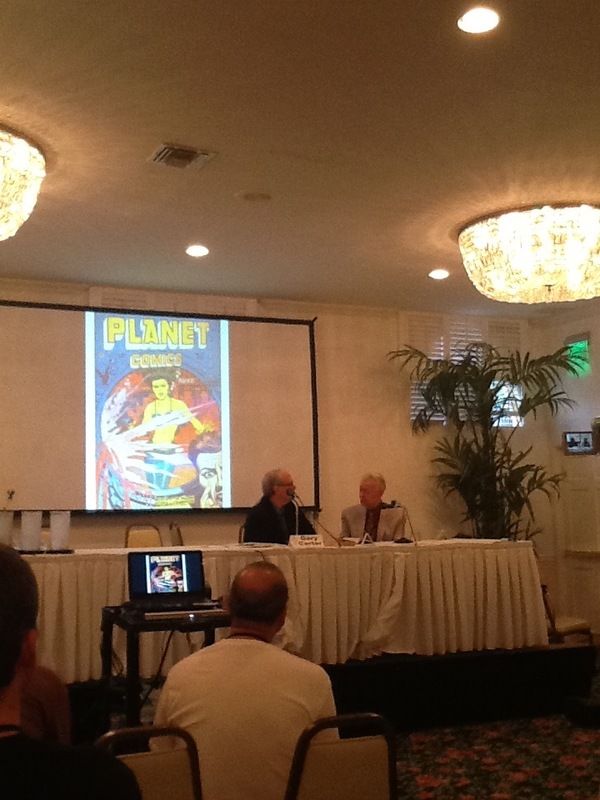 “It’s Fantastic.” In the middle fifties he started also doing work for DC under Julie Schwartz. About John Carter, they were aware of the character and how much he had influenced the superhero comics. Murphy Anderson last modified October 20th, 2012.